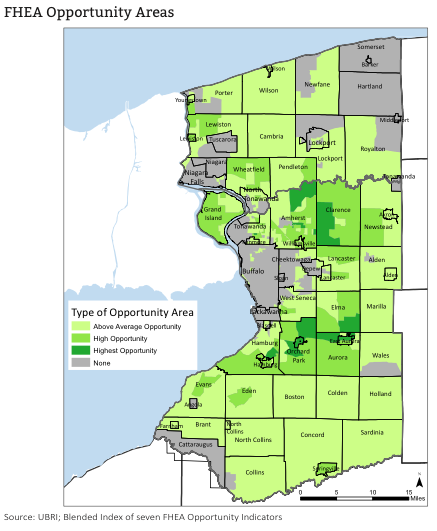 This week the Greater Buffalo Racial Equity Roundtable released a report called The Racial Equity Dividend: Buffalo’s Great Opportunity. Make Communities was fortunate to partner with the UB Regional Institute on this report and serve as lead author. You may have seen the Buffalo News article about the report, but that doesn’t cover the full story. The report speaks to our shared values and our shared fate. As Buffalonians, the immense benefit the region will see when we close the racial equity gaps that we face and improve outcomes for everyone. Ultimately, achieving our potential as a region requires us to unpack with a critical eye our assumptions about the ways our city has been built and structured — factors that create the divisions and disparities we face today. The real story of race in Buffalo (and indeed in America) is one of the continued and intentional disadvantaging of people of color. But as a society, we are a-historical. We generally don’t stop to consider the ways in which our systems have been built over decades, we generally only consider the conditions we see today. Racism in America isn’t about whether or not you use racial slurs. Racism is about a system of advantage and disadvantage that is bestowed both overtly and discretely based on our race. Though insufficient to unpack all of the systems and symptoms of why whites are more likely to get, be and stay ahead, this report contextualizes the disparities we see in three ways: as a product of our institutions, as a product of the places we call home, and as a product of the actions and reactions of people on a daily basis. In the absence of understanding, we tend to fill in the gaps with the narratives that surround us about race and about America. We blame people of color for not advancing, for being lazy, or violent, or uneducated, or being bad parents. Even those among us who understand these narratives as hateful myths and consciously resist these stereotypes often have difficultly expressing what is actually happening behind the curtain of American racism. This report looks at how the influence of institutions, places and people have worked together to create differential outcomes across indicators of education & job readiness, income & wealth, quality of life & neighborhoods, and criminal justice & safety. Hopefully this report can help develop a deeper understanding of how this inequity is structured and perpetuated, and give the Roundtable and countless others one more tool in the fight to overcome the inequities within our systems and within our society. 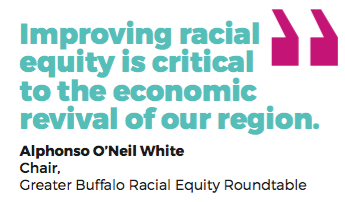 Please learn more about the ongoing efforts for racial equity in Buffalo by reading the report and checking out the Roundtable’s website at racialequitybuffalo.org. Did you ever wonder what could happen if the 198 Expressway weren’t looming over precious waterfront land, dividing communities, thwarting investment, and destroying sensitive ecological habitat? 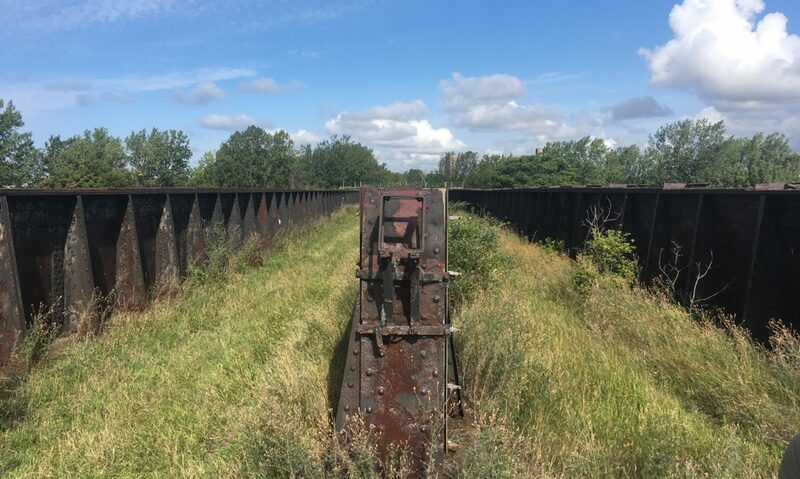 The Western Scajaquada Coalition asked Make Communities, in partnership with Brad Wales Architecture and Jason Knight, professor of Geography and Planning at Buffalo State College, to help them develop a vision for Black Rock Harbor and West Scajaquada. The result: hundreds of thousands of square feet of new and redevelopment, four miles of restored shoreline and waterfront trails providing a green link from the Olmsted Parks to the river and a trail connecting art, history and innovation, room for an expanded, enhanced and accessible Buffalo State College, a major new athletic and recreation complex and more. There’s much more to see from the community’s vision, and the public is welcome to come out to the Buffalo History Museum at 6PM tonight to learn more. More preview coverage of tonight’s event can be found at Buffalo Rising and WKBW. Make Communities has partnered with Erie 1 Board of Cooperative Educational Services (BOCES) and Healthy Community Alliance (HCA) in Cattaraugus County on a “Creating Healthy Schools and Communities” initiative. This long term and cross-sector approach appreciates and responds to the many inputs and obstacles to creating healthier, happier and more livable communities. Together we are focusing on five districts starting in Salamanca and continuing to Gowanda, Randolph, Yorkshire-Pioneer and Franklinville to increase access to healthy foods and transportation options in schools and in the broader community. As part of the effort, Justin Booth will host a Complete Streets Workshop in Randolph on April 26. 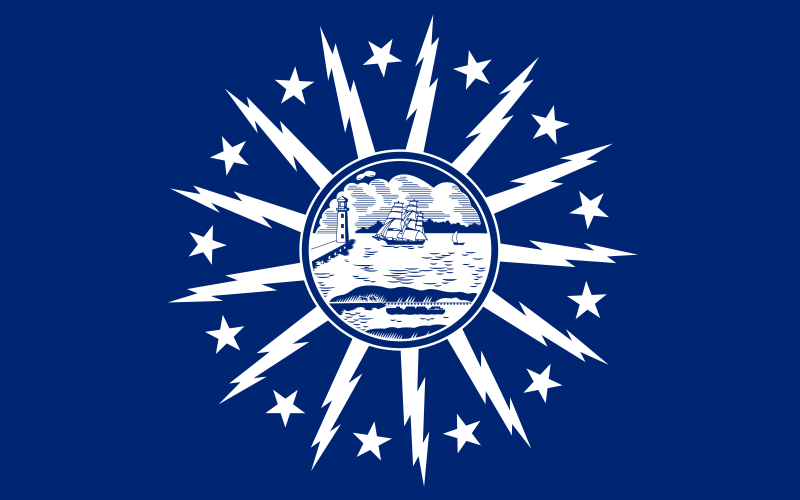 The workshop will be at the Municipal Building, 72 Main St. in the Community Room. The event starts at 6 p.m and you can RSVP by email or by calling 664-1787 and speaking with Tom Congdon. Thanks to all our partners in the Cattaraugus County for their incredible support and enthusiasm for this project. The Salamanca press ran an article explaining the effort and its early successes. Click on the quote below for the full story. 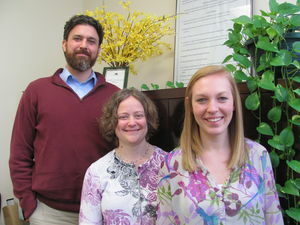 “The program is spearheaded by a team including Community Wellness Coordinator Kaitlyn Summers MS, RD; School Wellness Coordinator Kate Huber, Erie 1 BOCES; and Complete Streets Coordinator Justin Booth, principal at Make Communities LLC. Huber said this new grant is a combination of three different grants that were previously in existence and all funded by the state Department of Health. Under this grant, schools will receive technical assistance, coaching and resources to increase healthy options in the cafeteria and wherever food is sold or served, including concessions at sports events and classroom celebrations. 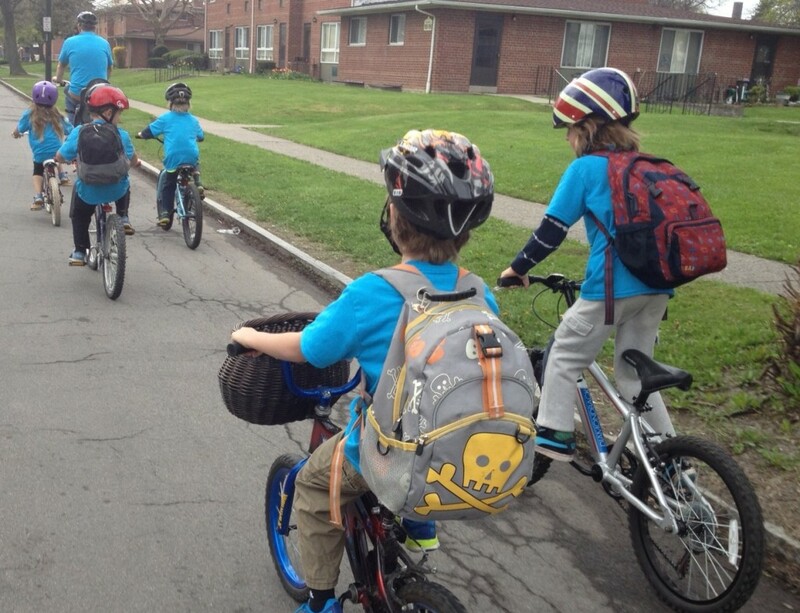 May is Bike Month, and it has been an active one in Buffalo. Mayor Brown announced the installation of 110 new bike racks and last week celebrated bike to work day. The city has also seen a successful bike to school day, the launching of a bicycle ferry to the outer harbor and merchants throughout town continue to host bike breakfast events. These event are a big part of educating the public and encouraging more people to get on their bikes and give it a try. 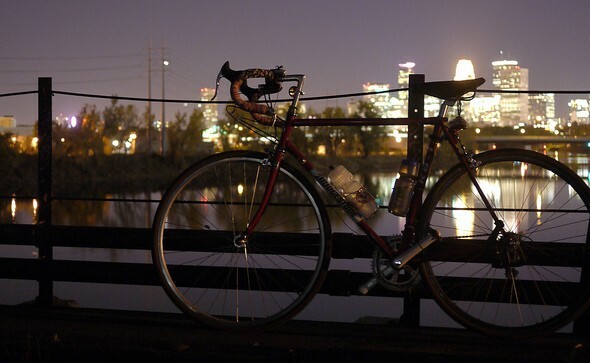 Another huge part of promoting bicycling in a community is having the right infrastructure that supports people on bikes, whether they are winter-hardened commuters or weekend ice-cream riders. 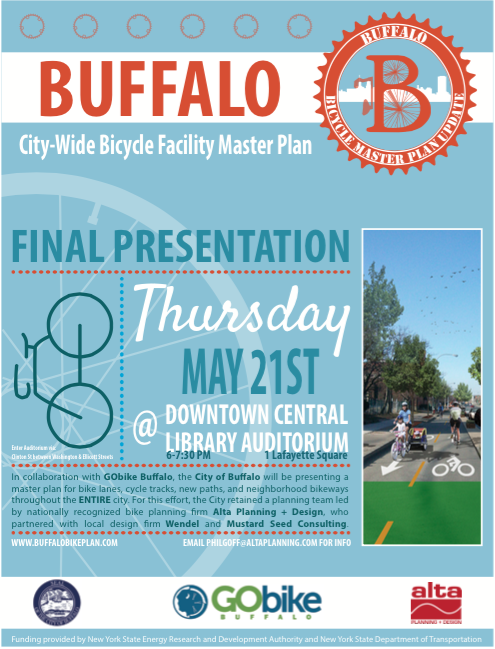 To that end, this Thursday, May 21st, the City of Buffalo will be rolling out a bicycle master plan to guide citywide infrastructure investment for years to come. Much progress has been made in the last five years, but some of it has been pieced together. Give the City credit for making opportunistic changes along with major street reconstructions and standard repaving (see: Delaware, Linwood, Fillmore, Broadway, South Park…), but this plan will set a predictable course for building a complete network of streets and trails friendly to people on bikes, no matter their skill level. Check out the project website to learn more about the progress made on the plan to date and be sure to come out to the Central Library Auditorium on Thursday from 6-7:30 PM to support biking in Buffalo! Groundwork Buffalo, a local environmental organization focused on improving urban land and water and affiliated with a national network of Groundwork Trusts, is hiring an Executive Director. Each Groundwork’s purpose is to build sustainable communities through joint environmental action: empowering people, creating better places and helping to bring about prosperity. The Groundwork USA network is built on partnerships linked together by the Groundwork USA national office, with support from the Environmental Protection Agency Brownfields Program and the National Park Service Rivers, Trails and Conservation Assistance Program. 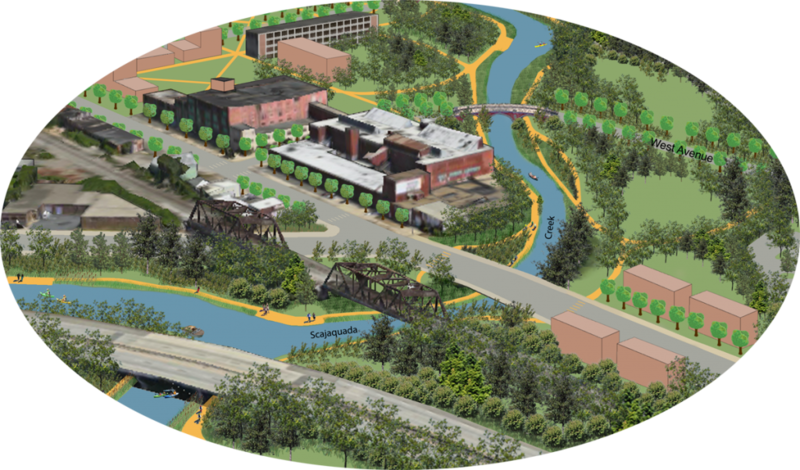 Projects and activities are organized into six program areas as part of an integrated approach to community rejuvenation: land, brownfields, education, business, youth and communities. In cities across America, Groundwork organizations have proven effective mechanisms for revitalizing underutilized and vacant or brownfield properties for productive community reuse and creating pathways to success for local youth. The partners at Make Communities were both involved in the early stages of Groundwork Buffalo, working with a broad group of organizational partners and the National Parks Service, and then later as members of the Urban Regeneration Task Group of the Western New York Environmental Alliance. As the job posting states, this position provides a great opportunity for an entrepreneurial Executive Director to build on past successes and grow the organization to reach its potential. Happy Friday! But how happy? These cold weather countries may have a relatively higher tax burden, but they also are home to very strong social supports and a focus on quality of life. 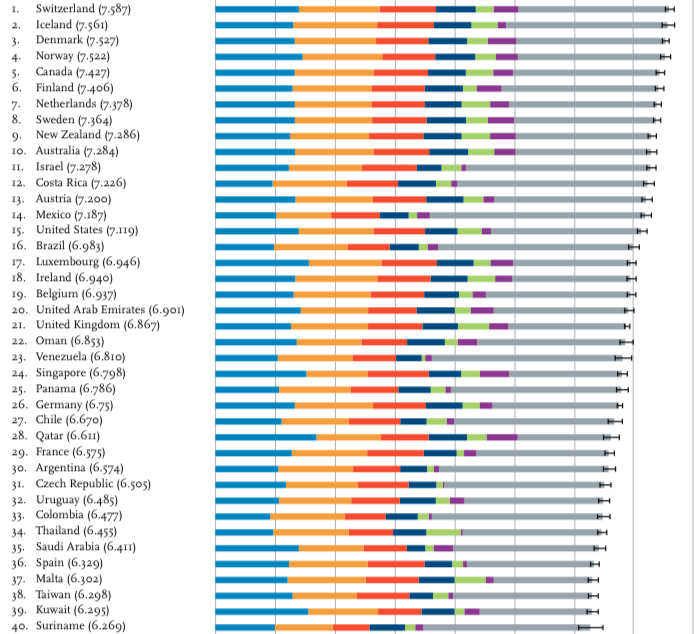 However, the Happiness Report isn’t really about the rankings. It’s about considering more than economic output as a measure of a country’s well-being. In addition to Gross Domestic Product (GDP) the report also tracks social support, healthy life expectancy, freedom to make life choices, generosity and perceptions of public corruption. As the adage goes, you can’t manage what you can’t measure, and this report strongly suggests governments should be measuring and managing priorities across a spectrum of human needs and aspirations. Though subjective, this rounded set of indicators provides a much different basis for policy decisions that would lead to a much different set of outcomes than focusing strictly on GDP. Our hometown region of Buffalo, NY did not perform well on this index. 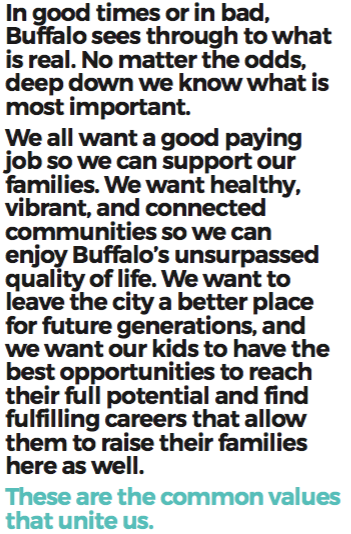 Again, though this should be about highlighting a full-spectrum approach to public policy and priorities and not be about the ranking number, it is disconcerting to see exactly where Buffalo suffered. Buffalo-Niagara’s composite rank was 89 out of the 100 metros examined (with 1 being highest well-being). Even though Buffalo is known for its historically depressed economy, it did fairly well when residents were asked to gauge their financial well-being (#17). Beyond that, however, there was not a lot of praise for the region. The City of Good Neighbors ranked 78th in social support and 87th in community, 80th in physical health and a stark 97th in purpose. This analysis uses self-reported survey data rather than objective metrics. Without objective data, it’s hard to control for varying community expectations or the Eeyore Effect, so the 0-100 index is a bit more problematic than the raw scores listed on the Happiness Report. However, these rankings do suggest a higher focus on quality of life may, indeed, be in order. Luckily, public policy and public investment can move the needle on each of these factors. 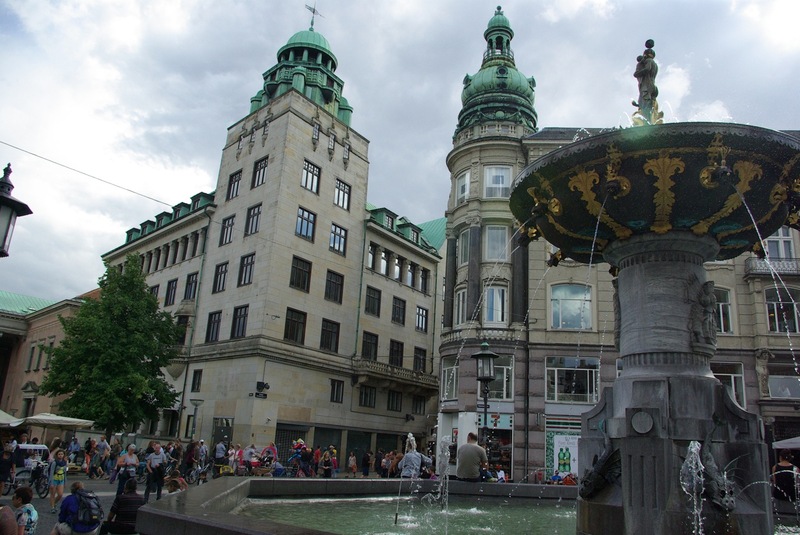 Investments in public gathering spaces like parks, squares and complete streets can increase social interaction and build community identity and pride. These types of placemaking activities also can encourage active transportation – impacting physical health. Zoning and land use can play a role, too. For instance, ensuring all residents have access to a park within 1/4 mile of their home can also increase physical activity and health. Building regulations requiring worker proximity to windows and natural light can also enhance employee satisfaction and productivity. Counties, cities and towns can institute a wide range of programming and policies to impact happiness and well-being. When crossed with the power of bully/buddy pulpit (see Oklahoma City’s weight loss challenge for just one great example), localities can make a great impact on the lives of their residents. City and State’s Gerard Flynn recently published “5 Challenges to de Blasio’s Promise of Inclusive Planning“ which includes feedback from notable planners and practitioners around New York City (including Tom Angotti, a professor I was fortunate to study under at Hunter) with tips and critiques for true community engaged planning. Mayor de Blasio’s very public charge to his planning commission is to lead planning and development with community input, rather than following the previous administration’s approach to growth which, the article suggests, aggressively facilitated development but was less focused on planning the context of development comprehensively or collaboratively. As with our post two weeks ago, some of these themes seem awfully familiar suggesting — though every community is different and requires a thorough understanding of locally based knowledge — there are some common approaches that planners and community developers need to keep in mind no matter if they are working in NYC or Small Town USA. Overcoming ingrained community distrust of the process and building trust (see #5 & #4) is no small hurdle and can’t be accomplished overnight (see #1), but neither will a realignment of layers of technocratic and bureaucratic inertia. Not only does community based planning require aligning at times disparate departments and investment streams (housing, infrastructure, services) (see #3), but also creating the flexibility within these structures to tailor a new working relationship to the local, neighborhood based context (see #4). Which brings us back, in a big way, to the resource question (#2). 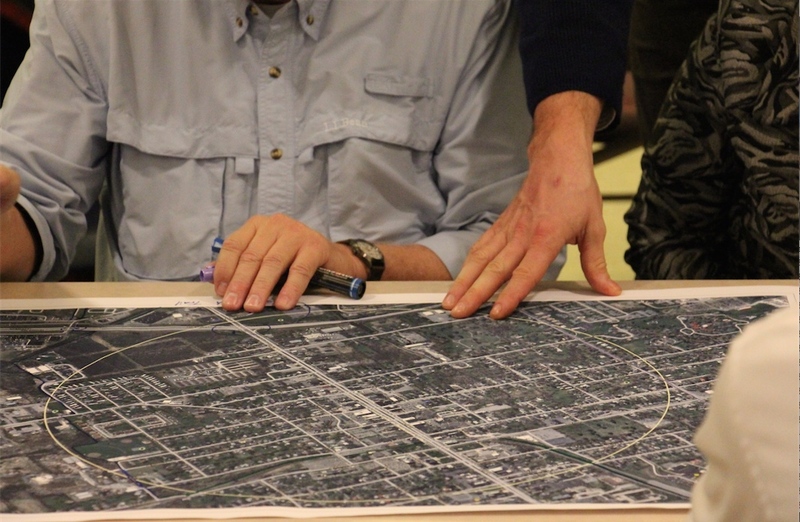 Community planning is a worthy commitment, but it is certainly as much of a commitment as it is a worthy pursuit. Were there a wand and a spell (communitus planificus!?) to make it so, it would have happened already. That not being the case, making the commitment is the first — and arguably most important — step towards happier, healthier and more united communities.